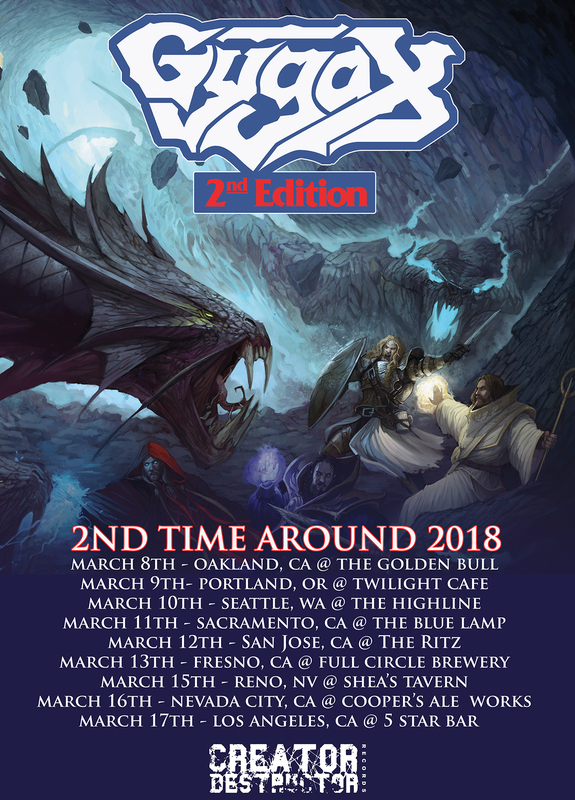 With their new album, Second Edition, nearing release via Creator-Destructor Records next week, Ventura, California’s GYGAX unleashes “Song Of The Silverhands” in conjunction with their West Coast tour which kicks off tonight in Oakland. 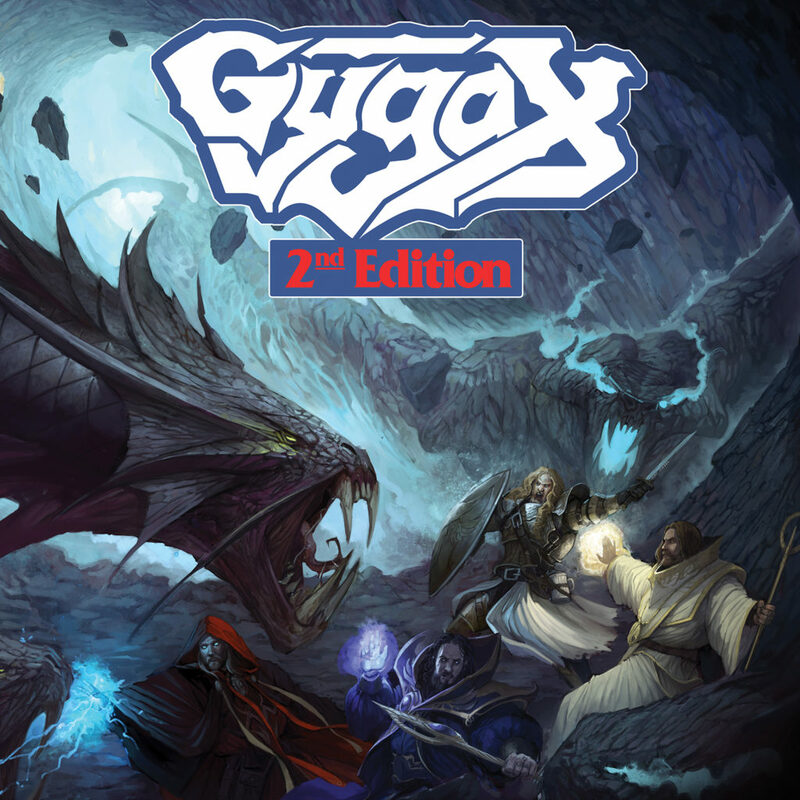 GYGAX picks up where their 2016-released Critical Hits debut left off, the eight tracks that comprise Second Edition showcasing the band’s unrivaled and potent tendency to create absolutely anthemic rock ‘n’ roll hits, chock-full of hip shakin’ grooves and twin guitar explosions that would make Thin Lizzy shed a tear of pride. Second Edition was recorded in November of 2017 with Scott Goodrich at Nu-Tone Studios in Pittsburgh, California, and features the always incredible artwork of Fares Maese. Hear the new GYGAX single “Song Of The Silverhands” RIGHT HERE alongside the previously-released “Pure Hearts” and “The Lascivious Underdark” singles. Second Edition will see release on digipak CD, LP, and digital formats via Creator-Destructor next Friday, March 16th; preorders are posted at the label webshop HERE. 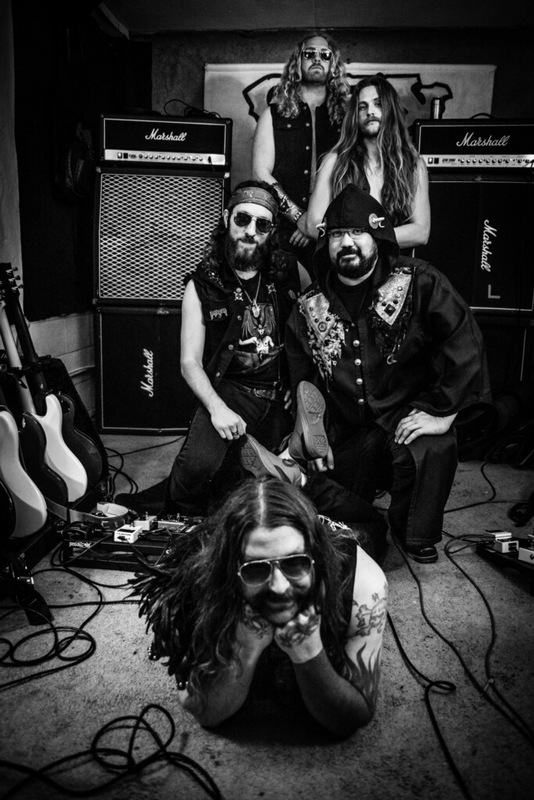 GYGAX begins their Second Edition West Coast Tour in support of the album tonight in Oakland with Glitter Wizard and labelmates Wilderness Dream. Shows follow in Portlind, Seattle, Sacremento, Fresno, Tahoe, and Nevada City, before the final show March 17th in Los Angeles. Watch for additional tour dates to be announced.